The Aircall Zoho PhoneBridge integration for Zoho CRM makes it simple for any business to streamline their sales and support interactions. Know who is calling before taking a call with screen-pop capabilities or simply click-to-dial directly from Zoho to call back a prospect. During a call, benefit from call-to-actions to add notes and create new records. 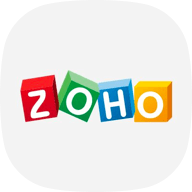 All call information and call recordings will be automatically logged in Zoho after a call, letting you listen to important calls, create reports and increase productivity! Listen to your voicemail or call recordings right in Zoho. Leave comments in the screenpop window that will seamlessly update your call log without leaving Zoho.